The village of Estero is one of the hidden gems of Florida's Gulf Coast. Tucked between Fort Myers to the north and Naples to the south, Estero is home to a growing community of adventure-seekers attracted to its many balmy beaches, golf greens, and near-perfect weather. This potent combination of attractive landscapes and endless sunshine means that Estero homes for sale are very much in demand as vacation homes, retirement residences, and year-round family dwellings. In Estero's many exclusive communities, you'll not only find many options—including spacious condos and town homes, sun-drenched villas, and luxury estates—you'll also find an astonishing array of resort-style amenities and like-minded people to share them with. Look over our Estero real estate listings below, or find out more about Estero homes for sale and the communities of Estero Bay. Access comprehensive listings of Estero homes for sale, including great options in Estero waterfront real estate, by registering with Key Real Estate today. 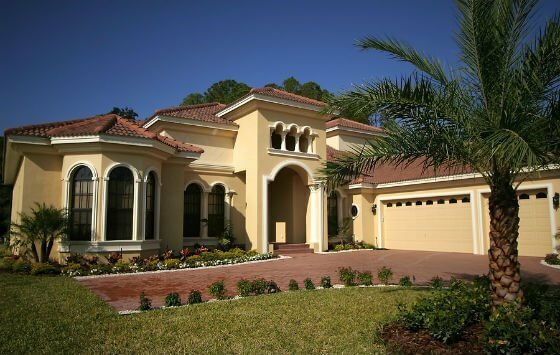 Given the climate, it shouldn't be surprising to learn that many Estero homes for sale are typically styled like Spanish or Italian villas, with eye-catching roofs of red clay and bright stucco exteriors. These homes, perfect for seasonal or full-time residence, boast large windows and high ceilings that brighten spacious living and dining areas and provide great views of Southwest Florida's natural surroundings. Owners in Estero show a lot of pride in their homes, so upgraded kitchen and bathroom features are quite common as well, including counters of granite and hardwood, natural tile flooring, and stainless steel fixtures and appliances. And since this is Florida, outdoor features like swimming pools, lanais, and porches are also great perks to look out for when you're deciding to buy. 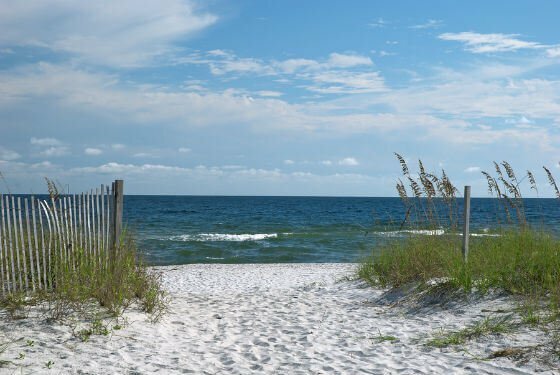 For independent people who are more interested in exploring the beautiful scenery of Florida's Gulf Coast than sitting at home, there are some shockingly affordable manufactured houses with a lot of potential to become excellent Estero vacation homes. These cozy prefabs are available in 1 or 2 bedroom configurations, and sometimes with upgraded features like granite counter tops, tile flooring, and breezy sunrooms. Just think, you can escape the cold of winter with a mortgage typically calculated at less than $300 per month! What's your perfect day? Does it involve playing the back nine on a championship golf course? Parasailing with the kids through the beautiful waters of the Gulf of Mexico? Or perhaps just curling up with a good book and a cup of coffee while the dog dozes in your lap? Whatever your answer, you'll be happy to know that Estero specializes in perfect days. Alongside private amenities offered by the communities along the Bay, the village of Estero is home to a number of great attractions. If you're looking to relax or get wet, you can visit the white sandy beaches at Lovers Key and Bowditch Point on Estero Island, while the secluded Happehatchee Center offers yoga and weekly drum circles to help you get in touch with your spiritual side. You need not leave Estero for great shopping and dining experiences either, but, because it's so neatly situated off of I-76 between Fort Myers and Naples, it represents the perfect staging point for exploring the rest of Southwest Florida. Even Miami and Fort Lauderdale are accessible for daytripping. What's your perfect day? Contact Key Real Estate to learn more about why we're so confident that there's an Estero home for sale that will help you it.